Note: Download the demo of “JEB Decompiler for WebAssembly” here. 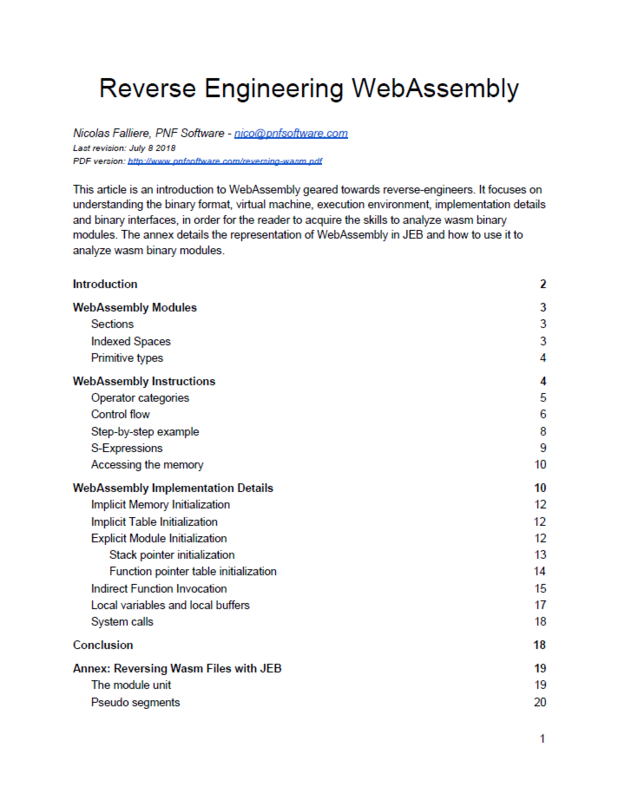 We published a paper deep-diving into WebAssembly from a reverse engineer point of view (wasm format, bytecode, execution environment, implementation details, etc.). The paper annex details how JEB can be used to analyze and decompiler WebAssembly modules.